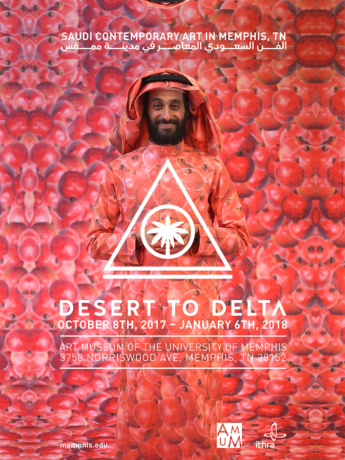 Desert to Delta is part of a United States program of Saudi contemporary art organized by the King Abdulaziz Center for World Art, a Saudi Aramco initiative located in Dhahran, Saudi Arabia and produced by Culturunners, a UK-based platform for international artist exchange. Desert to Delta is one of ten separately curated exhibitions shown in 2016 through 2018 in Houston, Aspen, San Francisco, Lewiston, Maine, Los Angeles, Detroit, Salt Lake City, Memphis, Washington, D.C. and Brooklyn. The Art Museum of the University of Memphis is a unit of the College of Communication and Fine Arts. 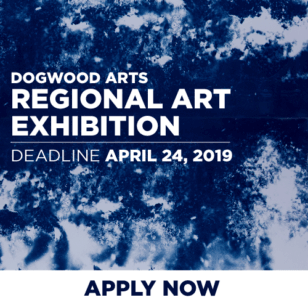 It is located within the CCFA building at 3750 Norriswood near the Central Avenue entrance to the campus. Call 901-678-2224 for directions and more information or go to the website.